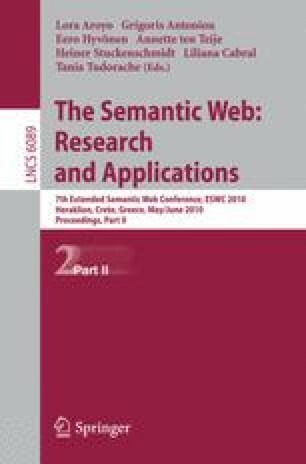 Current proposals on Semantic Web Services discovery and ranking are based on user preferences descriptions that often come with insufficient expressiveness, consequently making more difficult or even preventing the description of complex user desires. There is a lack of a general and comprehensive preference model, so discovery and ranking proposals have to provide ad hoc preference descriptions whose expressiveness depends on the facilities provided by the corresponding technique, resulting in user preferences that are tightly coupled with the underlying formalism being used by each concrete solution. In order to overcome these problems, in this paper an abstract and sufficiently expressive model for defining preferences is presented, so that they may be described in an intuitively and user-friendly manner. The proposed model is based on a well-known query preference model from database systems, which provides highly expressive constructors to describe and compose user preferences semantically. Furthermore, the presented proposal is independent from the concrete discovery and ranking engines selected, and may be used to extend current Semantic Web Service frameworks, such as wsmo, sawsdl, or owls-s. In this paper, the presented model is also validated against a complex discovery and ranking scenario, and a concrete implementation of the model in wsmo is outlined.